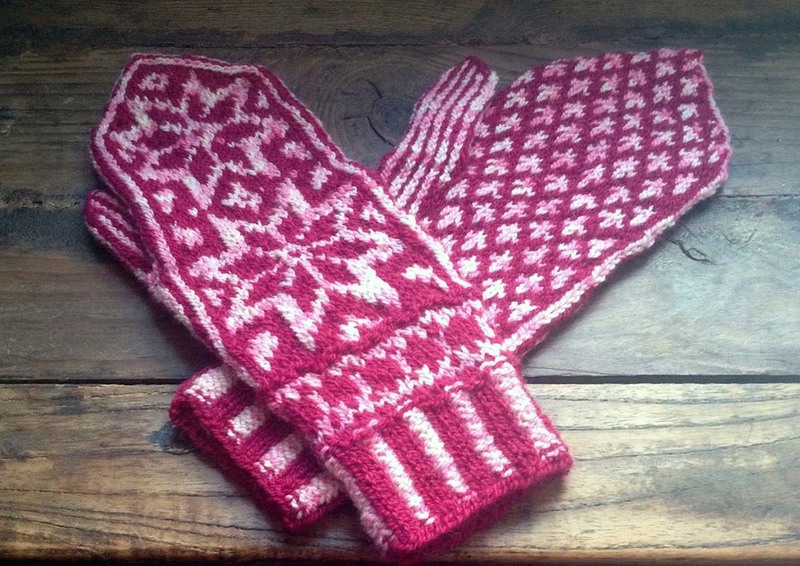 Pattern: Snowflower Mittens - Motif by Caitlin Shrigley, pattern and construction by me (Cate Carter-Evans). Yarn: Infinite Twist Qinghai Hand-spun in Sakura and Raspberry. 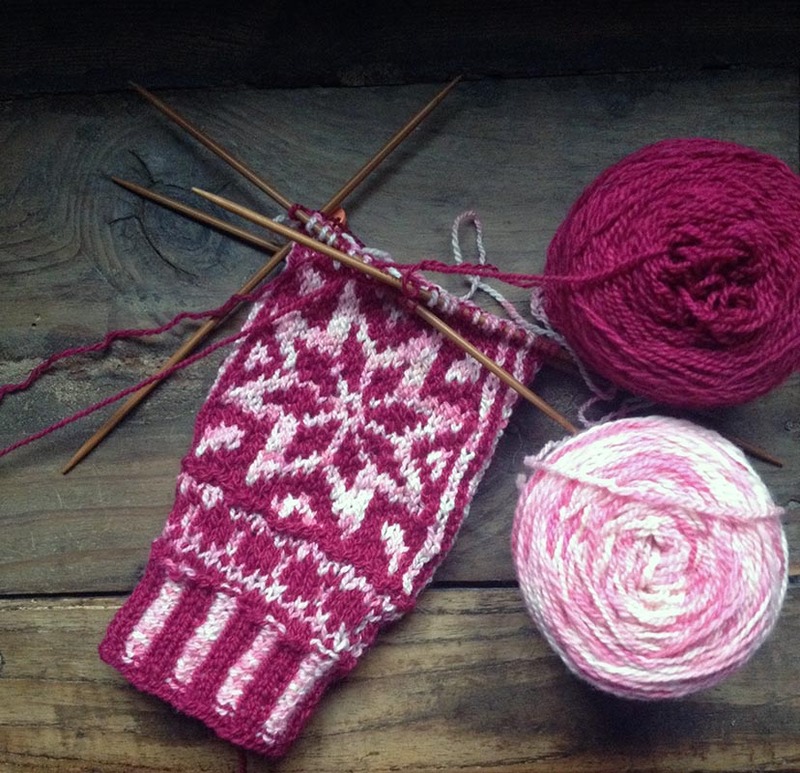 The Verdict: This is the third prototype for these mittens, and I'm really happy with how they fit. I've made them very snug at the wrist since mittens that try to fall off are one of my pet peeves. I'm also really liking the modern color combined with a more traditional design. One more colorway to go!